Anybody else notice USD/JPY’s triangle gettin’ tight? 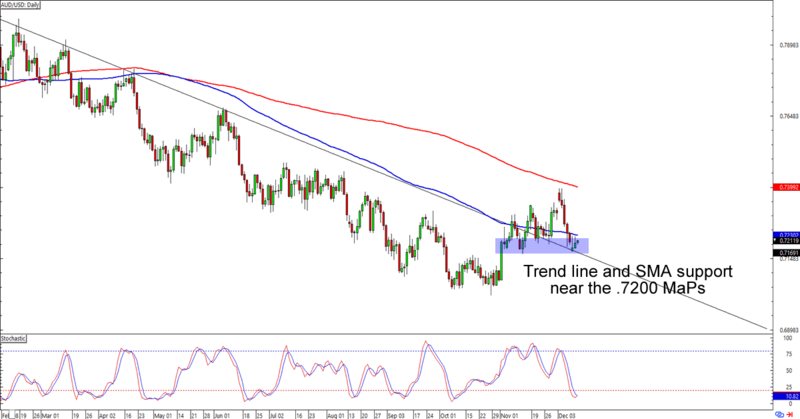 How about a resistance-turned-support play on AUD/USD? If y’all haven’t spotted them, then you better check out these charts I have for ya! 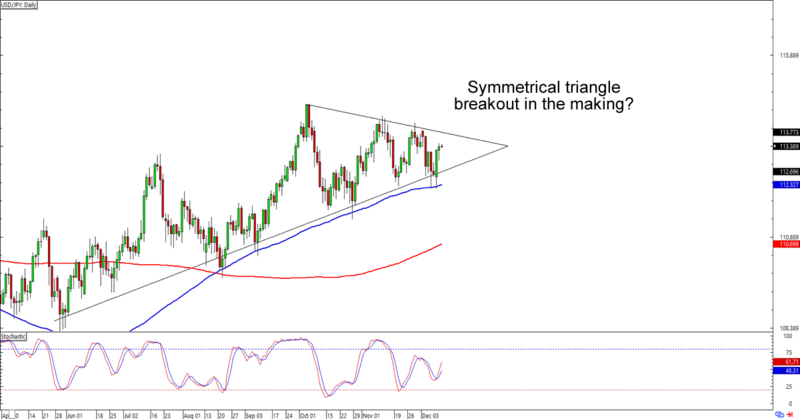 Last week we spotted USD/JPY hitting a symmetrical triangle support and thought that we would finally see a breakout. Looks like bulls and bears had other plans at the time. But with the triangle getting tighter and tighter, it probably won’t be long before we see a breakout. As the School of Pipsology tells us, triangle breakouts are usually as wide as the base of triangle. in this case, we’re talking about a 300-pip move or so. Now we just have to watch for the breakout’s direction! Which way do you think the triangle will go? AUD/USD is having trouble making lows below .7200, which isn’t surprising since the psychological handle lines up with a previous trend line resistance AND is around the 100 SMA on the daily time frame. Are we looking at a resistance-turned-support scenario here? Buying at the earliest signs of bullish momentum could give you a good reward-to-risk ratio especially if you aim for the previous highs close to the .7400 MaPs. If you’re not convinced that we’ll see a bullish run anytime soon, though, then you could also wait for the pair to go back below the trend line and aim for new lows below .7050. Whichever direction you choose to trade, make sure y’all practice good risk management when executing your trading plans, aight?